Courtney, Kelley, and Neal all competed at Novice, riding, Star Dazzler (Simon), Scout, and Hanna. Courtney & Simon lead the way scoring a fantastic 23.7 (76.3%) in dressage to lead the Open Novice Division. He went on jump clean in stadium and on cross country to finish on his dressage score and stay in 1st place. Kelley & Scout also competed in the Open Novice Division. They placed 12th in dressage, but then jumped clean in stadium and on cross country to move up and finish in 7th place. 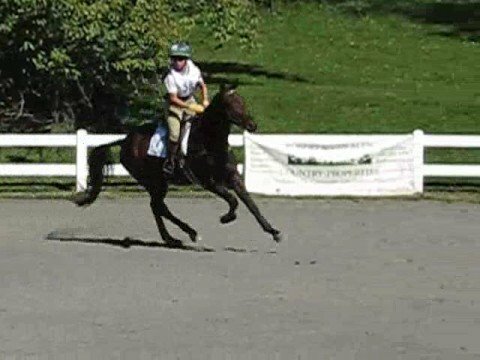 Neal & Hanna competed in the Novice Rider Division; they placed 4th in dressage and also jumped clean in stadium and on cross country to maintain their placing, finishing 4th. Courtney also rode Who’s a Star (Tag) at the training level. An out of character dressage test kept them out of the ribbons, but like the other three horses, they jumped clean in stadium and on cross country.